Plain stem wine flute / ale glass. English C1760. 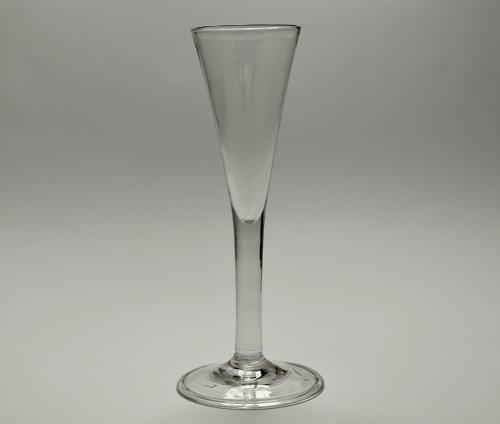 Plain stem drawn trumpet wine flute or ale glass. Folded conical foot. English C1760.